For many young adults with intellectual disabilities, the transition from high school can bring significant obstacles. Because programs at colleges and universities have been created to focus on life skill development, career exploration and participation in campus life, interdisciplinary efforts among all students, including those with intellectual disabilities, have grown. Belmont University’s School of Occupational Therapy developed and hosted the Transitions Summer Academy May 14-18, focused on providing introductory life skills training and college exposure to young adults with intellectual disabilities that are transitioning out of high school and applying to collegiate programs. The academy focused on previously identified gap areas including job skills and resume building, meal preparation, social interaction, access to higher education, financial management, healthy living skills and community service. Six participants, aged 18-21, were selected after completing an online application and Skype interview. Participants’ daily schedule included courses focusing on campus life, academic success, social skills, independent living and career exploration. Developed by doctoral students in the School of Occupational Therapy Ariana Amaya and Halle Jarnagin, the Academy was created because of the industry’s emphasis on activity analysis, participation and removing barriers for success. An interdisciplinary approach was taken to include students and faculty from other departments across Belmont’s campus including Music Therapy, Biology, Social Work, Facilities Management, Athletics, Residential Life, English, Education, Campus Security, Admissions, Campus Ministries, Fitness and Recreation, Best Buddies and Campus Dining Services. 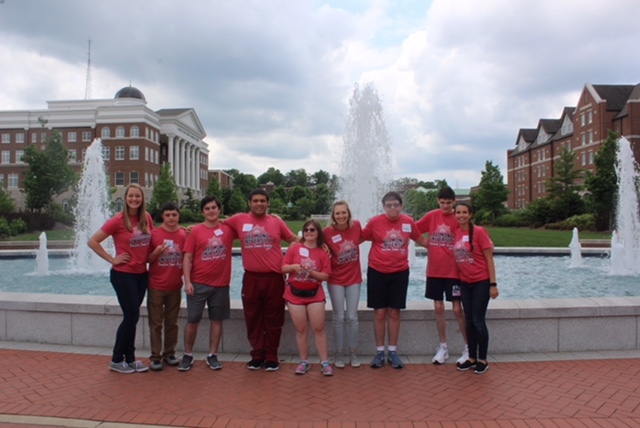 Belmont volunteers and faculty reported that being involved in the Transitions Summer Academy brought joy, satisfaction and pride. Those involved expressed interest in additional programming due to its positive impact to the Belmont campus, furthering Belmont’s continued growth in diversity and inclusion.